Kraft paper can be used as packaging and wrapping materials, and it can be widely used in our daily life. The large demand of kraft paper and emerging technologies of Leizhan kraft paper production machinery and solutions makes Leizhan made a great success in supplying kraft paper machinery for paper plants. 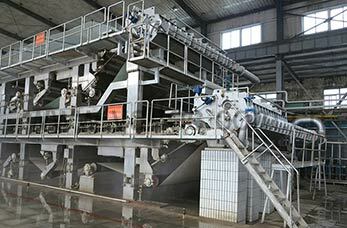 Leizhan kraft liner paperboard making solutions contain two parts: testliner stock preparation system and kraft liner board paper making machinery. Leizhan pulping machines Drum pulper, D type hydrapulper and so on can pulping raw material like waste paper, shavings, wood pulp effectively. Cleaning equipments high density cleaner and low density cleaner is used for cleaning and removing heavy impurities like staples, stones, glasses, etc. Screening machines like mid consistency pressure screen, vibrating screen, inflow pressure screen can be used for coarse screening and fine screening of various waste paper pulp. Leizhan kraft paper machine has been designed for a maximum speed of 800m/min and a basis weight range of 80-220g/m2 , producing 45-750 tons of kraft liner board on a trimmed working width of 1880-5800mm.